Cheyane Lubec was allegedly abducted and assaulted for two days by her bikie ex. 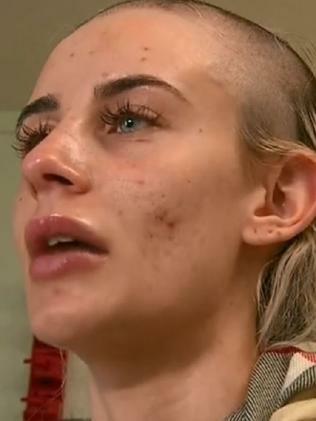 A WOMAN who was allegedly abducted, stripped naked and tied to a pole by her bikie ex-partner before being abused for two days has spoken about the horrendous ordeal. 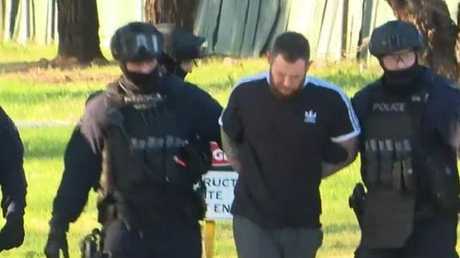 Police say Cheyane Lubec was forced into a car and bound on Sunday night, before being taken to the Gypsy Jokers clubhouse in Horsley Park in Sydney by Chad Daniel Hogg. 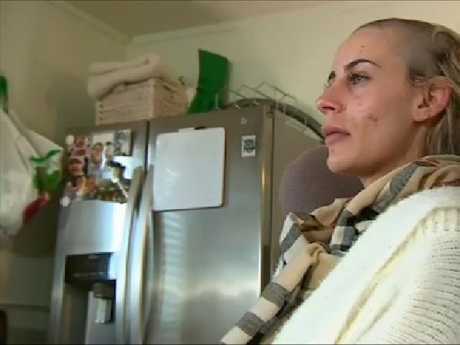 For two days, the 22-year-old was allegedly bashed, taunted and deprived of food or water before having her head shaved. In a candid interview with Channel 9, Ms Lubec said she was left in darkness without food or water. 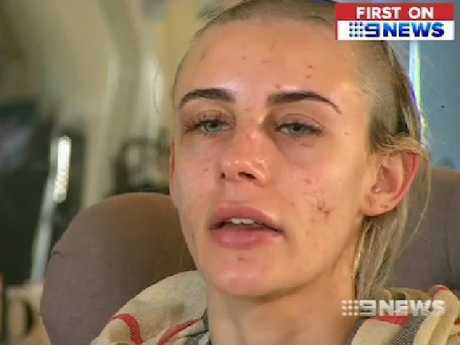 "I have a fracture in my cheekbone, I have bruising all over my face," she told Channel 9. "My right eye is blurry when I see out of it now. I can't breathe from my nose properly. They think my bone has been broken in my nose. I am very grateful to be alive." After two days of alleged physical abuse, Ms Lubec was subjected to the humiliation of having most of her head shaved by Hogg. "He shaved my head, he took pictures and he was laughing," she said, peeling back her headscarf. "I would have preferred him to have taken a finger than to have shaved my head." Cheyane Lubec was allegedly abducted and abused for two days by her bikie ex. 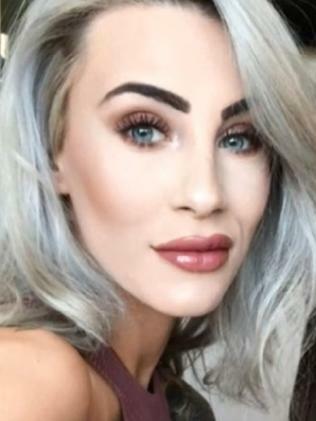 She claims her wrists and legs were bound together and tape put over her mouth the whole time so she couldn't scream out for help. It is alleged she was struck repeatedly as she sat tied to a wooden pole at the clubhouse. She told Channel 9 the only way she could escape was by making a mad dash when Mr Hogg took her for a fast food meal. Cheyane Lubec is currently recovering at home. Picture: Channel 9. "He went and ordered and I unlocked the car and I grabbed my phone which was in the glovebox, in a plastic bag and I grabbed my bag and ran across the road," she said. "I hid in some bushes and then he drove up and down the streets a couple of times looking for me. I was on the phone to the police just waiting for them to get there." When officers arrived, Mr Lubec said she realised her ordeal was finally over. Cheyane Lubec’s alleged attacker was the subject of a domestic violence order. Hogg surrendered himself to heavily armed police at the Gypsy Jokers clubhouse yesterday afternoon, after officers surrounded the building for almost two hours. The 29-year-old was arrested and charged with several offences, and has been held on remand. Questions are now being asked as to how the alleged incident took place, given Hogg was subject to a domestic violence order for a similar alleged incident two months ago. Mr Hogg was arrested after a tense stand-off with police. Picture: Channel 9.